The ultimate in horticultural lighting control. 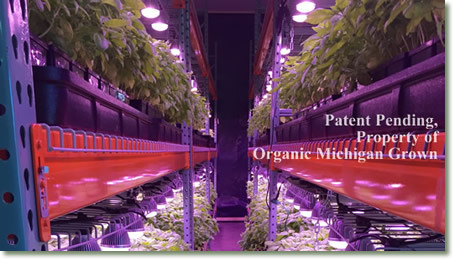 Lettuce, basil and the wide variety of other leafy greens and herbs grown under high quality lights represent a great opportunity to provide customers with valuable, year-round, local and delicious produce. 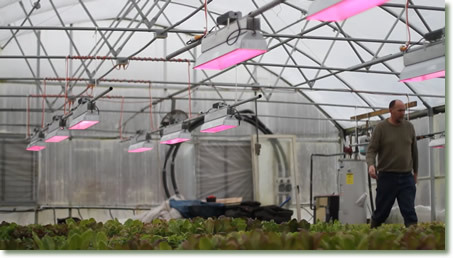 For greenhouse growing, a typical setup will use one TG33B High Intensity Top-Light fixture to cover approx. 100 sq ft. See Greenhouse - Supplemental Lighting for more information. For fully enclosed growing, a typical setup will use one TG1A Broad Grow Spectrum Light bulb to cover approx. 1 sq ft with variations for plant type, size and growing goals. 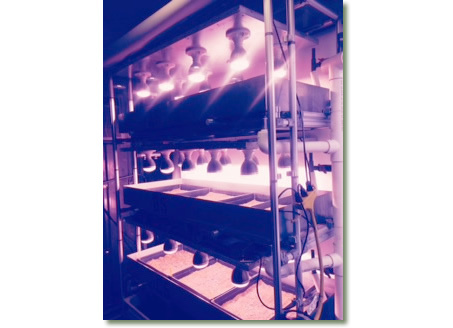 See Vertical Farming for more information. Contact us for recommendations specific to your application. I am growing the best basil my customers have tasted faster than I thought possible under my TotalGrow Broad Grow Spectrum Lights. The TotalGrow staff have been very helpful while designing and expanding my vertical farm. We were very pleased with the results. 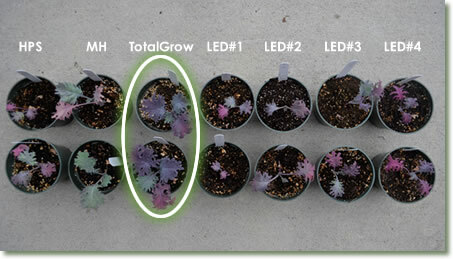 Not only did the TotalGrow™ light outperform the HPS by 10%, but it did so using far less energy. 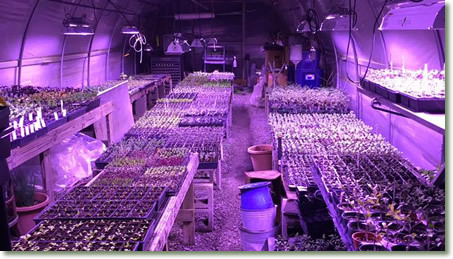 This fall, we invested in enough lights to fill a greenhouse. We fully intend to switch over all our greenhouses over the next few years. For us, TotalGrow™ lights last longer and use less energy and give better yields – it just makes sense. All plants we have tested (petunia, basil, and tomato) looked healthier under your TotalGrow™ lighting and used far less energy than the competing light sources. 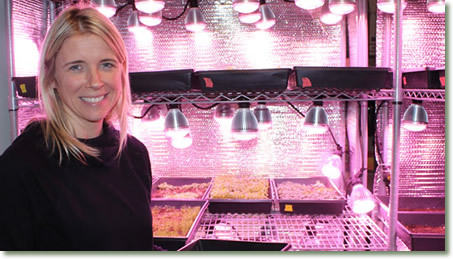 TotalGrow™ Broad Grow Spectrum Light bulbs, or the 'magic bulbs' as I call them, have allowed me to grow extremely high quality herbs and microgreens in my basement without any sunlight at all. I have experienced a faster grow cycle with these bulbs and have none of the problems that I had with the fluorescent bulbs I used in the past. These lights have allowed me to expand my business beyond my original customers and support some larger demand customers. 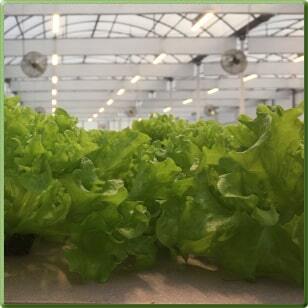 The TotalGrow staff has helped me dial in an excellent lighting solution for the aquaponics system I have developed. All of the crops are growing great! Lettuce, kale, cabbage, broccoli, etc. The lights are fantastic!!! We have seen a great improvement by having the lights. The plants are so much farther ahead of schedule than we had anticipated. They are growing great and we have not had a problem with them. The plants are not stretching for light and have thick stems and are growing nice and straight. 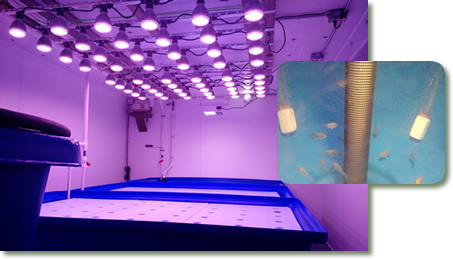 Through more than 14 months of testing on a variety of baby greens in our shipping container aquaponics systems, TotalGrow lights have grown our crops at least as well as all other light sources tested with excellent efficiency and the best overall cost effectiveness.